Datcom are manufacturers and distributors of structured cabling solutions. This e-commerce website offers many hundreds of different products. That is why it was important to make it easy for customers to be able to quickly locate the products that they require. This is achieved through uncluttered website design layout, straightforward navigation and product search filter features. A unique features of this e-commerce web design include, as mentioned above, a product attribute filter to help customer quickly find products. There is also the facility for registered customers to be assigned to a Sales Representative, and for customers to request quote for larger volumes of products. The website is integrated with Moneris for on-line payment processing and Canada Post for shipping. 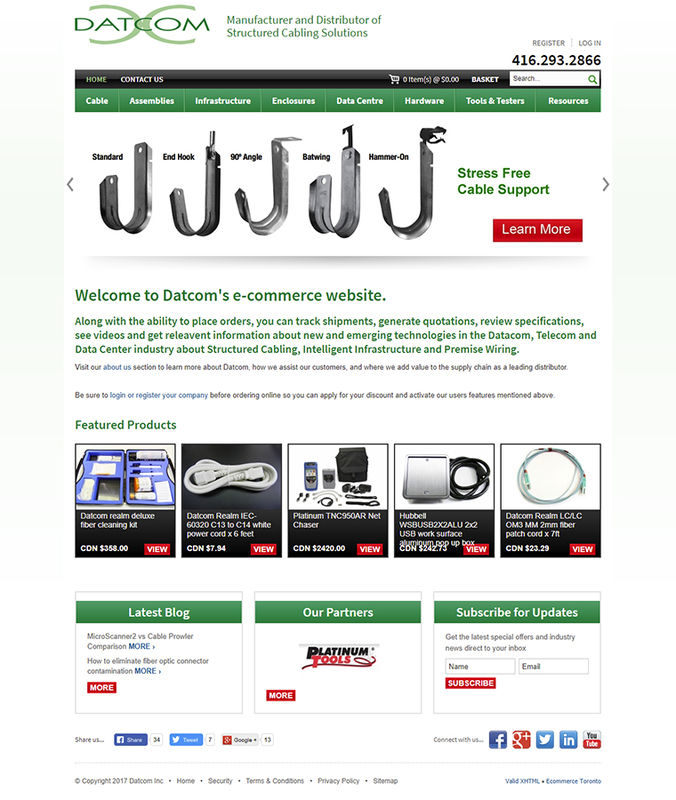 Because Datcom was very specific about website functionality we created the the website using the Module Manager custom e-commerce solution. Module Manager is the perfect e-commerce platform for businesses who cannot find the right functionality they require using off the shelf solutions. Why not chat to us today to see if Module Manager is right for your on-line store?